People stand along a road following a quake in Amatrice, central Italy, Aug. 24, 2016. Russian President Vladimir Putin has expressed his condolences to Italian Prime Minister Matteo Renzi over the human losses as a result of a devastating earthquake in the country’s central regions, the Kremlin press service reported on Aug. 24. Putin said in a telegram of condolence that "Russia shares the grief of the friendly Italian people" and expressed readiness "to render the necessary assistance in coping with the aftermath of this disaster." The Russian head of state conveyed words of sympathy and support to the families and friends of those killed and wished a speedy recovery to the injured. 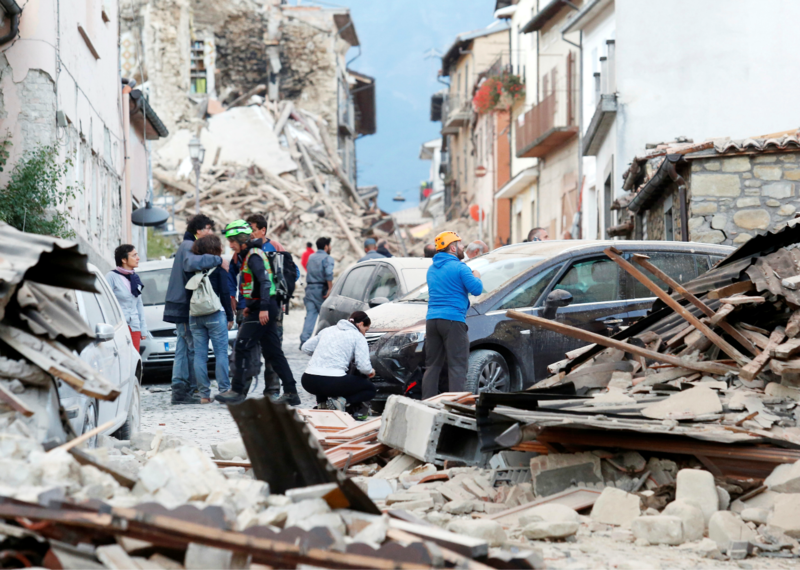 At least 73 people are dead following the major earthquake, which struck central Italy early in the morning on Aug. 24, according to Italian media. More than 100 are reported missing.